Buta Shop Twin Quilt Set is an adorable quilt/pillowcase set with little frogs, panda bear pals, turtle trottin’ buddies, red polka dot graphics, and our signature Heath brown fabric. 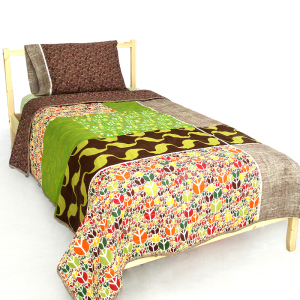 This twin bedding set is part of our new Twin Quilt Set. *Over 50% OFF was $325.00 now $160.00 ! ALL SALES FINAL! ALL ITEMS IN STOCK + READY TO SHIP OUT. SKU: AuntBucky_BS_TwinQuilt. Categories: Kids, Sale. 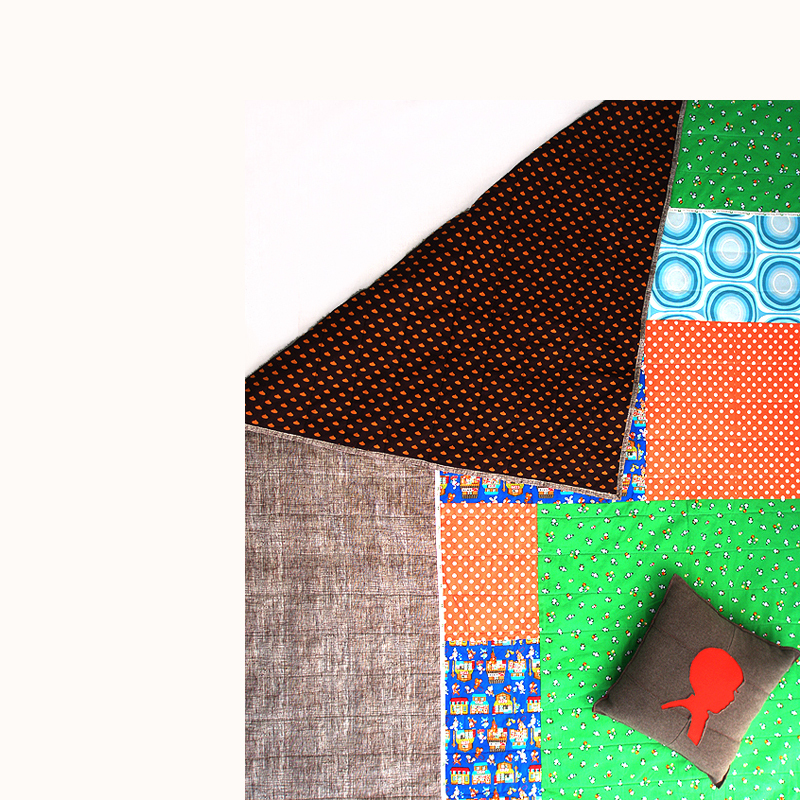 Tags: auntbucky, gender neutral kids bedding, kids bedding, Kids Decor, Kids Room, modern quilt, Patchwork Bedding, patchwork quilt, quilt, quilt set, retro quilt, toddler bedding, twin quilt, Twin Quilt Sets, unisex twin bedding. 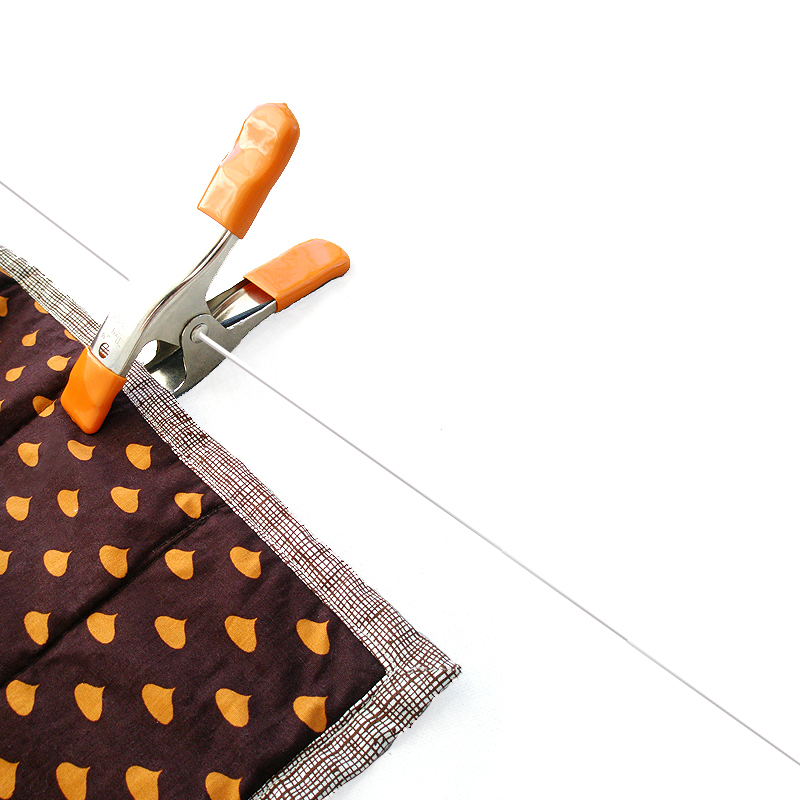 Buta Shop Twin Quilt Set is near-one-of-a-kind design that’s too cute! 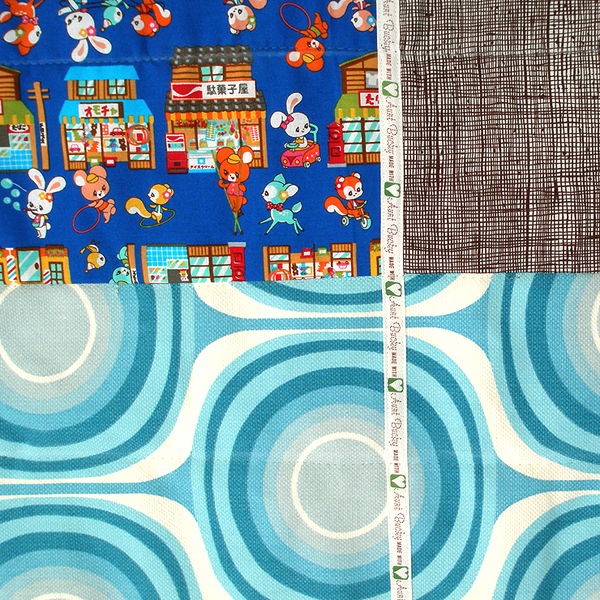 Buta Shop Twin Quilt Set is an adorable quilt and pillowcase set with candy kisses, little working bears, panda bears, mod turquoise graphics, and our signature Heath Brown fabric. Aunt Bucky has designed a quilt that emulates a retro style old fashion type of quilt making that is so beautiful and sentimental. Our Buta Shop Twin Quilt Set is 100% cotton Twin Quilt and Pillowcase with patchwork fabrics that are embellished with our signature ribbon tape, ‘Made with Love Aunt Bucky’. 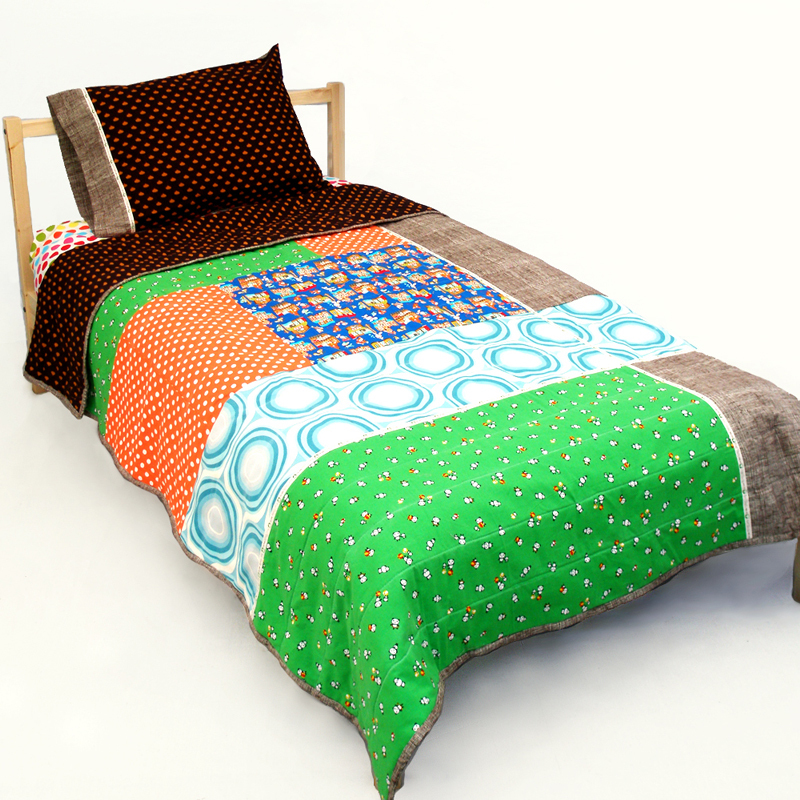 Shown with our Twin Bedding fitted twin sheet: ‘Orange Dots’ that is available on our Aunt Bucky site.